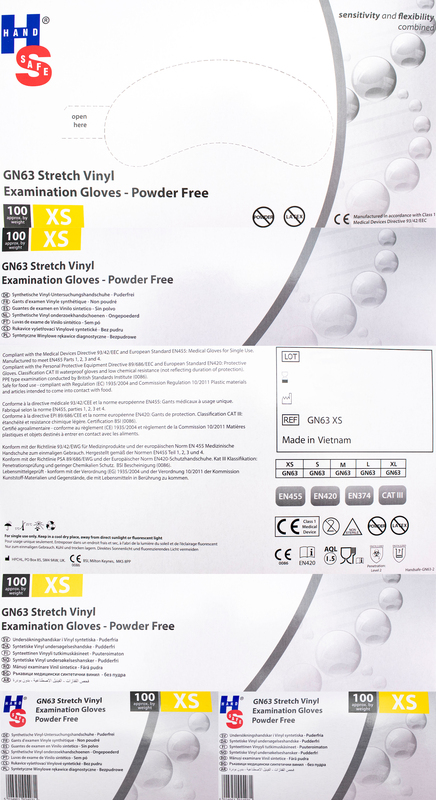 The Hand Safe GN63 Powder-Free Stretch Vinyl Powder-Free Disposable Gloves are made from high-quality stretch vinyl, which gives them a greater degree of stretch than standard vinyl examination gloves. 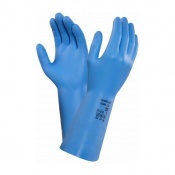 This makes them a dependable, flexible and safe alternative to latex examination gloves - perfect for users with sensitive skin or latex allergy. The GN63 Stretch Vinyl Gloves feature a beaded cuff for added strength and easier donning. 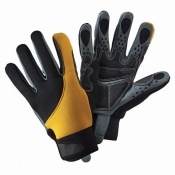 They are flexible with a smooth finish, which reduces the occurrence of hand fatigue during extended wear. 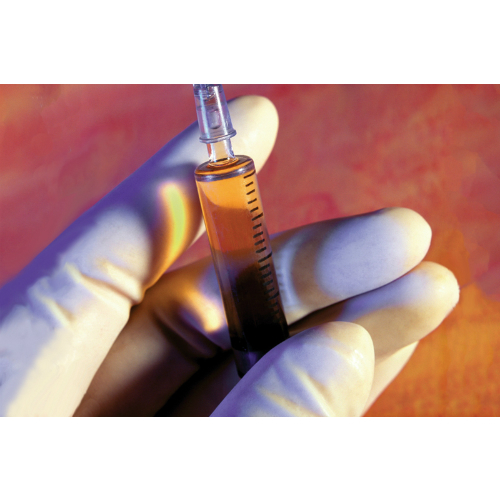 Approved for single use medical application, as well as for contact with food, these non-sterile gloves have a wide range of uses. As the Hand Safe GN63 Vinyl Gloves are latex free, they are less likely to trigger an allergic reaction than latex-based examination gloves. This makes them ideal for users with a latex allergy or sensitive skin. 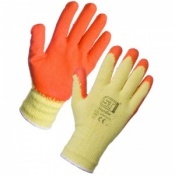 The GN63 Gloves are available in sizes Extra Small, Small, Medium, Large and Extra Large. 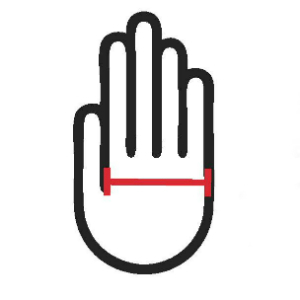 Find the correct size by measuring your hand across the palm - as shown below - then refer to the sizing chart to find the size that you need. Very good service all through the request for these gloves. Much appreciated.